Of all the compact vehicles on the market, the Mazda3 is the only that seems to have been truly designed for buyers who love to drive. Get behind the wheel of the all-new 2017 Mazda3, and you will see why very quickly. Redesigned this year, the 2017 Mazda3 gets a host of improvements and additions that make this the very best Mazda3. The third-generation is even more fun to drive, even more fuel-efficient, has a design that is even more striking, and the interior has been vastly improved. There is very little to dislike about the 2017 Mazda3. From the wheels and the front grill to the headlights, rear, and dashboard, just about everything on the Mazda3 has been redesigned for 2017. 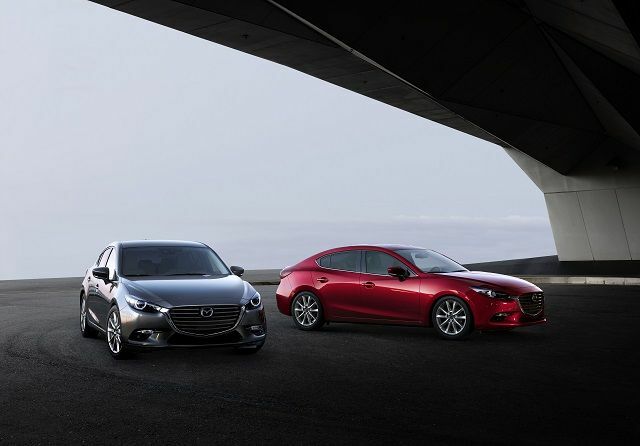 The car keeps the overall look of the 2016 model, but you can quickly spot the differences, and the new Mazda3 seems to be complete now with a sporty, refined look that will get you noticed out on the road. Sportier than ever, the 2017 Mazda3 is powered by a 2.0-liter SKYACTIV-G four-cylinder engine developing 155 horsepower and 150 pound-feet of torque. And for those who want more, the GT version is everything you are looking for. With a 2.5-liter engine, this version boasts 184 horsepower and 185 lb.-ft. of torque. Despite all the improvements it receives for 2017, the Mazda3 is available at an affordable price of $ 15,900 at Kentville Mazda. Even the powerful GT version remains very accessible at $ 24,000. 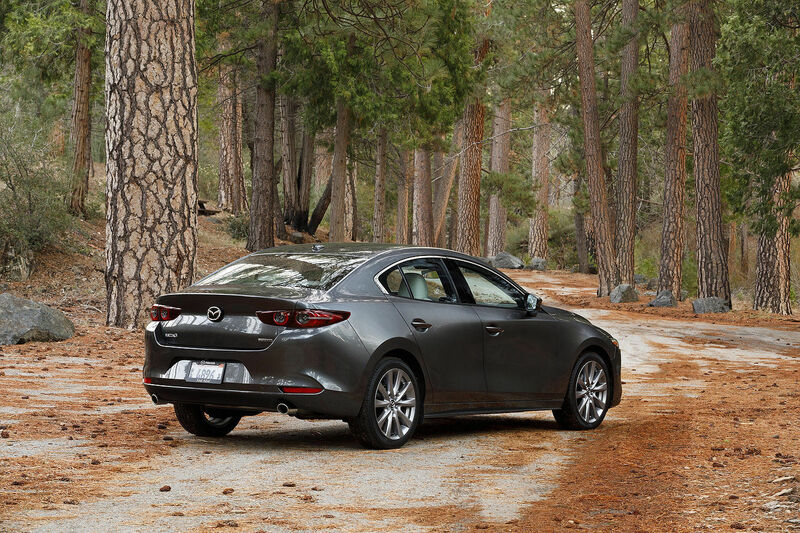 The 2017 Mazda3 continues to be offered in four- or five-door versions. The biggest change made to the 2017 Mazda3 is not visible to the naked eye. However, you will feel it immediately as soon as you take the wheel. We are talking about Mazda’s all-new G-Vectoring Control (GVC) which debuts on the new 2017 Mazda3. The latest addition to Mazda's SKYACTIV technology line-up, and the first technology in Mazda’s new SKYACTIV VEHICLE DYNAMICS suite of driver- and efficiency-focused technologies, GVC gives the 2017 Mazda3 a more stable ride than ever before. 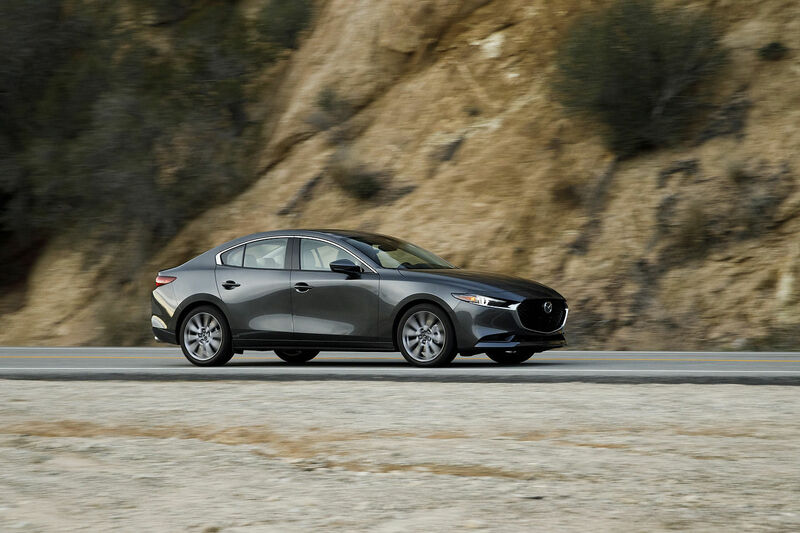 By analyzing the road every millisecond, the Mazda3's computer is able to adjust the torque and steering parameters instantly. Result: more comfort for the occupants and enhanced peace on mind behind the wheel. On the road, you don’t feel the weight transfers as much and on the highway, less steering inputs and corrections are needed to keep the car in the desired direction. With all these new features and a price that remains appealing, there is no reason not to test drive of the new 2017 Mazda3. Come check it out today at Kentville Mazda!